One of the most disliked parts of patient assessment for many people is EKG interpretation. 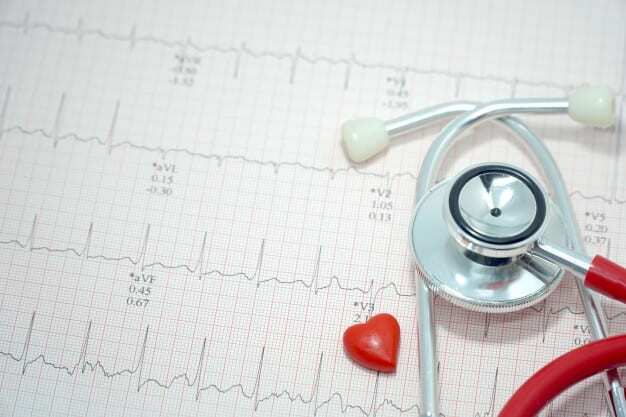 Many prefer the fast-paced physical assessments that they get to practice in the ER rather than the black-and-white samples that can seem a bit like the dreaded “desk work.” However, correct EKG interpretation certainly has a vital place in quality health care, and it’s integral to catching many problems early and even saving lives. Why Learn EKG Interpretation At All? You most likely learned the basics of EKG interpretation in school. You probably learned all about the PR interval, QRS waveform and T wave. You probably also learned basic emergency strips, such as V-fib or asystole. However, most beginning college classes are not designed to go much beyond these basics. If you’re a health care worker who responds to codes, cares for cardiac patients or works in the emergency room, you’ll want to have an in-depth knowledge of 12-lead EKGs, which provide clearer information than what you would see on a basic telemetry reading. A 12-lead EKG provides solid information in only a minute or two about the electrophysiology of the atria and ventricles, helping you see if an area of your patient’s heart is malfunctioning or has been injured in a heart attack. Why Go Beyond The Basics? Your patients are depending on you to know more than just the basics. Small changes can indicate growing problems. By catching changes early, you can help your patients avoid cardiac emergencies, life-saving operations and life-changing complications. Advanced knowledge is also important if you plan on applying for an advanced role in your facility, such as a charge nurse or house administrator position. Your coworkers will count on you to lead them in their own EKG interpretation. Plus, you can build your confidence levels by increasing your knowledge. If you come to work feeling nervous that something is going to happen to one of your patients and that you’ll not know how to respond, this in-depth knowledge will fill you with confidence that you know how to react without any hesitation. In addition, this knowledge will improve your interactions with doctors and other health care workers. You’ll be able to explain more thoroughly what is going on with your patient and what you believe he or she needs. Often, this knowledge can direct pharmacological therapy, such as by necessitating an amiodarone drip for A-fib. An advanced EKG class can also give you the practice that you need to further cement your knowledge. Even if you’ve already studied the nitty-gritty of 12-lead EKG interpretation, taking a refresher class will give you additional practice and let you learn about any changes that the American Heart Association has made to treating patients displaying certain waveforms. Don’t leave EKG interpretation to the doctors only or to those whom you see as being the “pros.” Instead, by learning EKG interpretation yourself, you can become a more well-rounded part of the code team in your facility and can better respond to newly arisen symptoms in your own patients. The Advanced 12 Lead ECG Interpretation Certification course through Project Heartbeat can improve your practice by helping you diagnose cardiovascular events through EKG strips and by showing you how your patients could best be treated pharmacologically. Plus, you’ll be able to get continuing education credits, hands-on help and a great dose of teamwork as you work together with colleagues to become more confident in this area.